We know that looking your very best on your big day is so important! A big part of your look is your hair and makeup for the day, and that’s something we can help you with. You may have some ideas for your hair or makeup style, but we wanted to share a few of our tips with you. Many brides ask us if we can refer them to a salon or stylist. 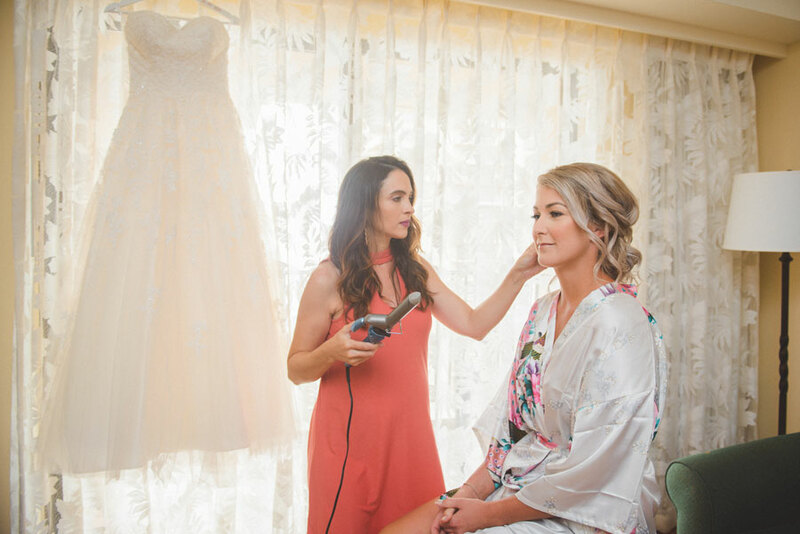 We highly recommend our team of in-house hair and makeup artists. 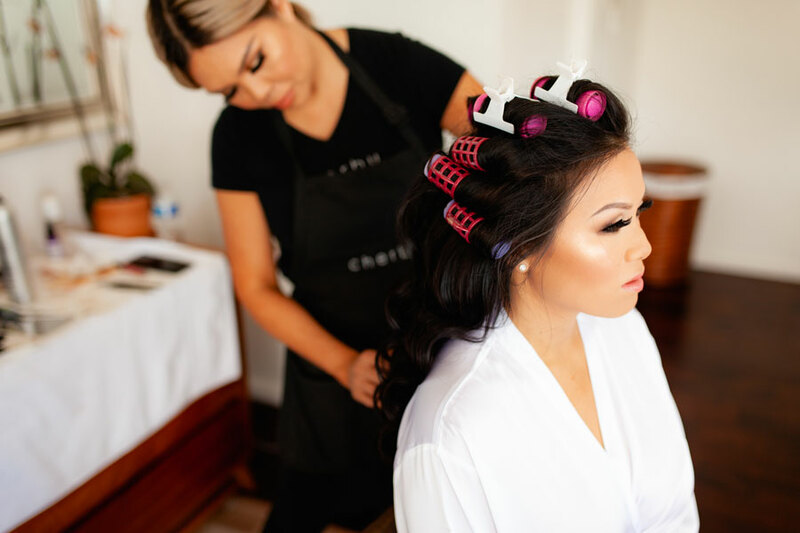 They are some of the best in the industry, and they’ll come right to your Waikiki hotel room to help you look amazing on your wedding day! 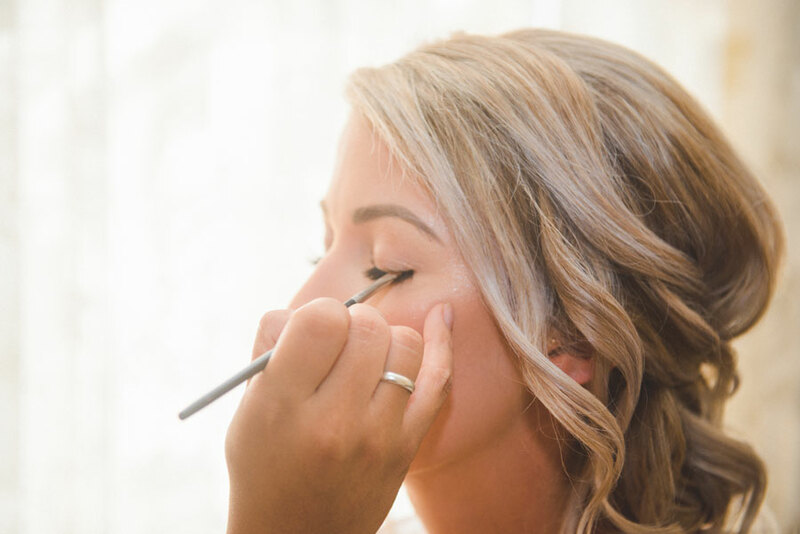 Our stylists have beautiful natural looking lashes for your special day! Our stylists are experienced in working with a variety of different hair and skin types. They have long-wearing, high-quality, hypoallergenic makeup products that are perfect for outdoor weddings. They come with all the tools, products, even eyelashes! We book the stylist based on the time you need to leave for the ceremony. The service itself takes about 1 hour and 30 minutes, and we schedule about 45-60 minutes afterward for you to finish getting dressed and get ready to leave. Your stylist will come directly to your hotel room. It’s helpful to have photos of hair or makeup styles you like. Have these ready to show the stylist as a reference. If you have a very intricate or unusual hair or makeup style in mind, send us the photos, and we’ll make sure the stylist is prepared. 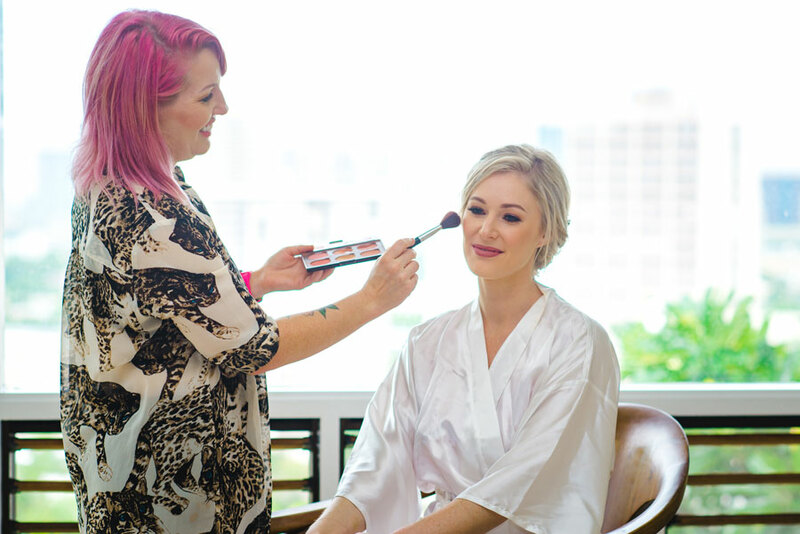 Your hair and makeup artist can work with you to create the exact look you're going for! 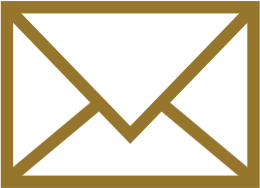 We have some tips and recommendations for your consideration. Everyone has different hair types, so the humidity in Hawaii can be something to think about. Beachy waves is a popular request, but it doesn’t always work for everyone’s hair type. Our top recommendation is an updo, as that would be a great look in all types of weather. It keeps you cool, and you don’t need to worry about your hair in case the wind picks up. And if you're having a Hawaii beach wedding, you should expect a steady breeze. A beautiful updo works for everyone, and is an easy style to wear. If you wanted to keep your hair down, we’d suggested a half-up-half-down style to keep the hair away from your face. Or perhaps consider beachy waves with a haku lei. 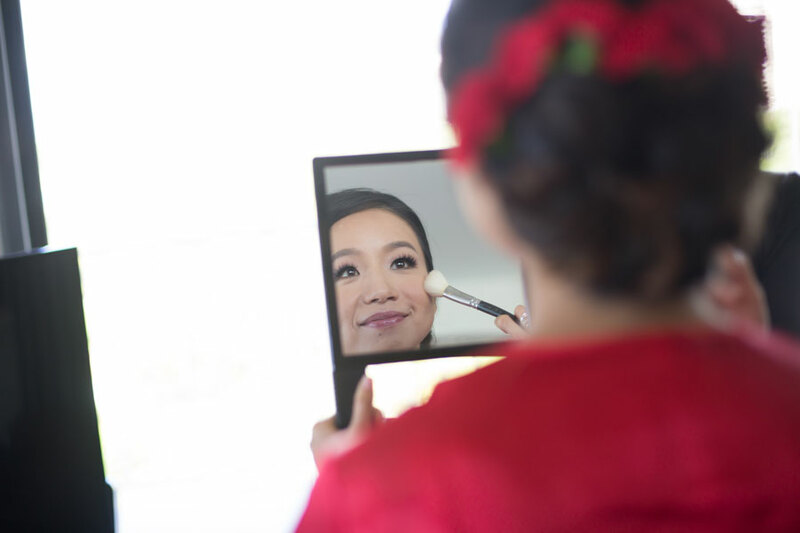 Adding pre-bridal photography or videography gives you extra memories for your special Hawaii wedding. We hope this helps you sort through some options for your look for your big day! Whatever you decide will work! If you have questions or if you want to talk through some ideas, just give us a call. We’re here to make your day everything you want it to be.